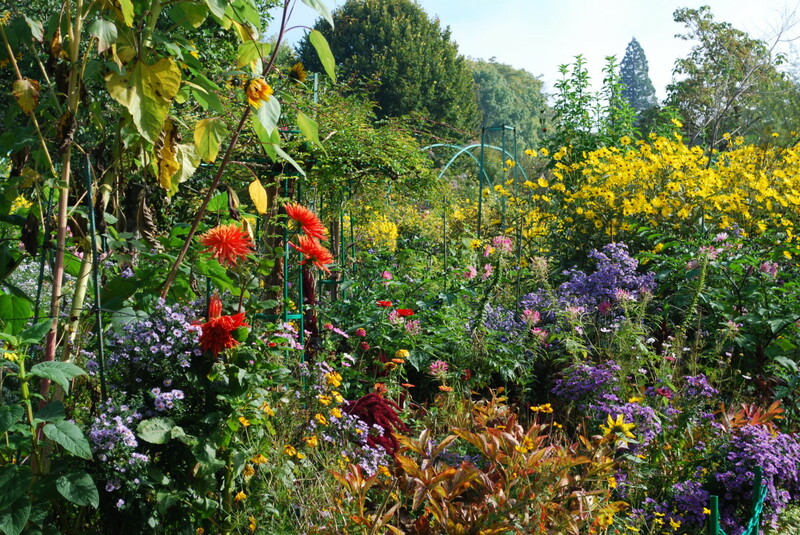 The beauty of early October at Giverny, when Monet’s flower garden radiates with bright colors, is breathtaking. It is certainly one of the best times to see the painter’s garden, more impressionist than ever. Huge bouquets of sunflowers, asters, dahlias, cosmos mix their colors to create an overwhelming effect. The metallic arches and tripods vanish in this sea of flowers, as well as visitors.